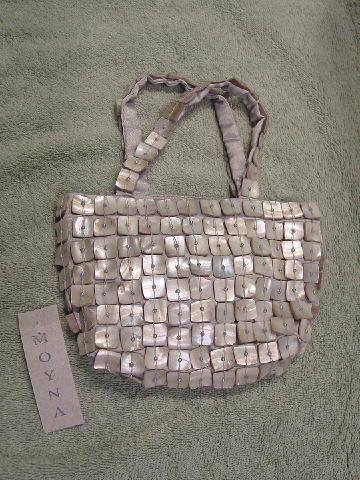 This never-used handcrafted evening purse is by Moyna and the manufacturer's tag is still attached. 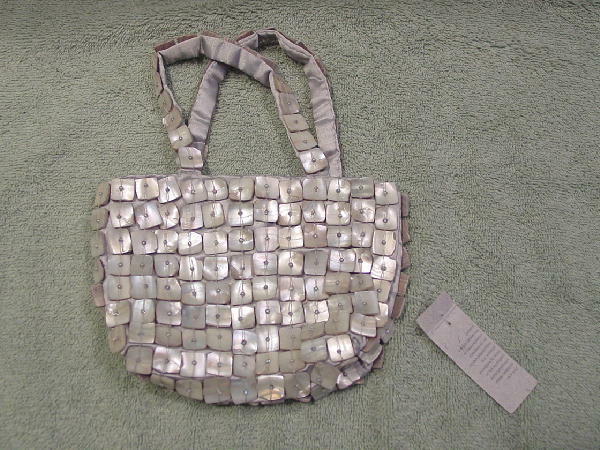 There is a shiny gray fabric base with freeform square shaped iridescent shells on the surface. The shells are attached by thread and have a tiny bead in each shell center hole. 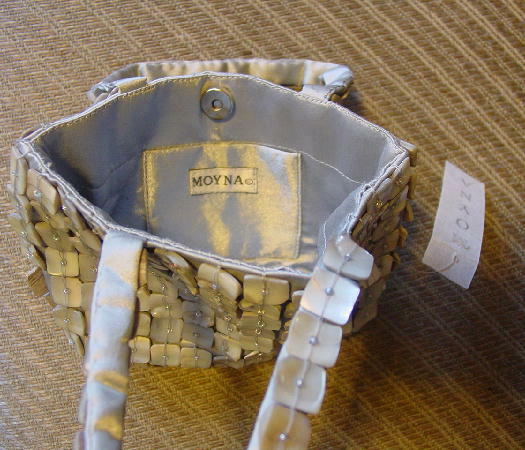 There is a very small interior open pocket and the purse has a top magnetic snap closure. It has two 9 3/4" long by 5/8" wide handles (with a 4" drop). It's from a New York model who got it as a birthday present from her now-exboyfriend.